If you want quality training from a group of Safety Professionals that are Board Certified (www.bcsp.org) and have been established since 1974 then you have come to the right place. We don’t rent equipment, sell parts, or do repairs. Every class we teach is taught by a Professional instructor that takes the time to explain the materials and answer any questions that you may have. Our training program is based off of the Federal OSHA Regulations requirements and meets the training guidelines. It doesn't matter if you have years of driving experience or if you are learning how to drive a fork lift for the first time. We will teach you everything a "Certified Forklift Operator" is required to know. 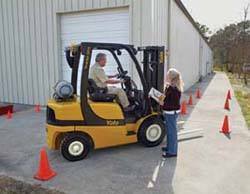 Course Content: The certification includes a class-room environment where all students will receive training in safe operations of forklifts. They will receive instruction in both written and verbal formats. The written instructions will include forklift safety rules, an operators safety agreement, and a final test. The verbal discussion will include pertinent information regarding the safe operation of forklift. In addition, one or more safety videos will be included in the classroom environment. The videos stress safe operating procedures, inspections, parking procedures, load handling, center of gravity, standard load center, etc. The length of the classroom takes approximately 2 - 3 hours (depending on class participation and number of students). Upon completion of the written exam, the students will then be given a hands on driving test that tests their skills in a practical application. They will maneuver through many obstacles with a pallet, both forward and reverse. The normal anticipated length of the driving test usually takes anywhere from 10-15minutes per student. Certification of Completion: Each operator who successfully completes the class and passes the driving test will receive a laminated Operators Identification Card that will be valid for 3 years from completion date. Regular Class Schedule For Individuals: We have classes most every Friday at our office starting at 9:00 am lasting till around 1:00 pm. Please call 281-353-1512 Monday – Friday between 8:00 am and 5:00 pm or email us to schedule an appointment. 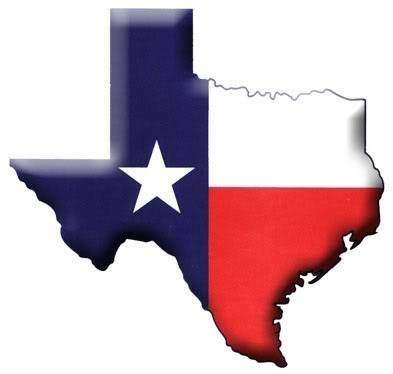 Location Address: 14850 Woodham Dr. Suite B-155, Houston, Texas 77073. On Site Training Classes For Companies: Training classes can be conducted on site at your location and is scheduled on an as needed basis. Please call our office at 281-353-1512 for additional information and be sure to ask about our discounted pricing for large groups.